Comments: Used as a bedding plant and for cut flowers. There are many varieties that come in a large number of colors and there are tall and dwarf types. 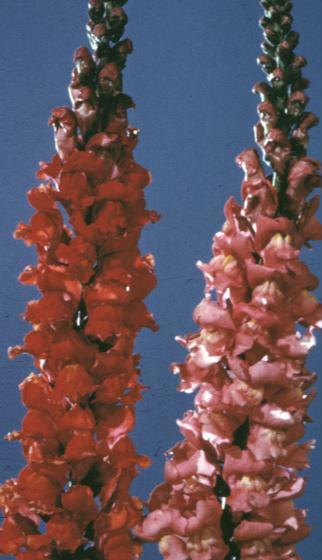 Snapdragons do not like very hot weather and for this reason they are grown as a cool season annual in the lower South. Provide a well drained soil, preferably a raised bed, and full sunlight. Clip back old spent flowers to encourage a second bloom, although the flowers are somewhat smaller on side branches.